Apple's latest iPhones, the 5c and 5s, went on sale Friday and touched off a buying frenzy around the globe — plus a few robberies and scuffles. The new phones, launched at an Apple event at its main campus in Cupertino, Calif., on Sept. 10, also became available for sale on Apple's online store starting at 12:01 PDT. Even before the Sept. 10 announcement, people had begun lining up at Apple's 24-hour flagship store on Fifth Avenue in New York City to secure their spots. On Friday morning, there were 1,417 people in line — the longest line ever at the flagship store for an iPhone launch, according to Gene Munster, an analyst at Piper Jaffray, who has surveyed Apple store lines every year since the original iPhone launched in 2007. Two people were arrested outside of an Apple store in Pasadena, Calif., after a fistfight while waiting in a line of at least 200 people, NBC Los Angeles reported. That scuffle was sparked, police said, when homeless men who were hired to stand in line for iPhones to be sold on the black market were denied purchases. The line outside a Houston store saw criminal activity of a different kind, when two men were robbed at gunpoint. Thieves took their old phones while the pair was waiting to trade them in for new ones, Houston NBC affiliate KPRC reported. 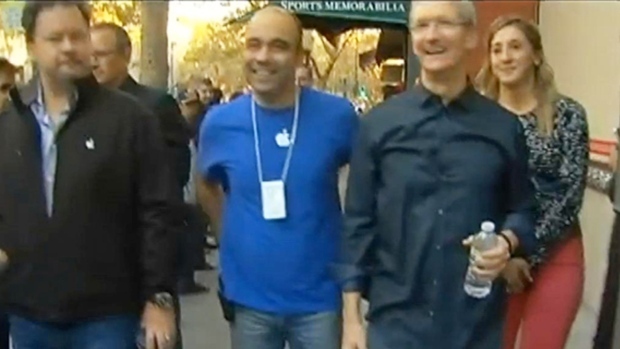 Dozens of people were lined up outside the Apple store in Ardmore, Pa., Friday morning. Many camped out overnight. "I love my Apple products," Anthony Sulpizio, told NBC Philadelphia. 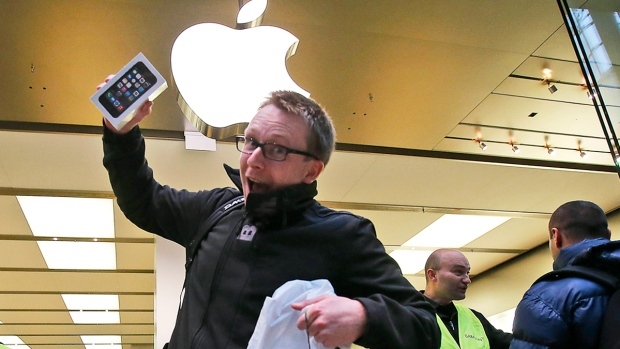 "I've had every iPhone on launch day and camped out for four of them." In Palo Alto, Apple CEO Tim Cook made a surprise visit to the Apple store just minutes before the doors opened at 8 a.m., NBC Bay Area reported. "Wow," Cook said, reacting to the lines wrapped around the block. “I love it.” He shook hands with customers who numbered more than 150 snaking around the block. He hugged employees and signed autographs. 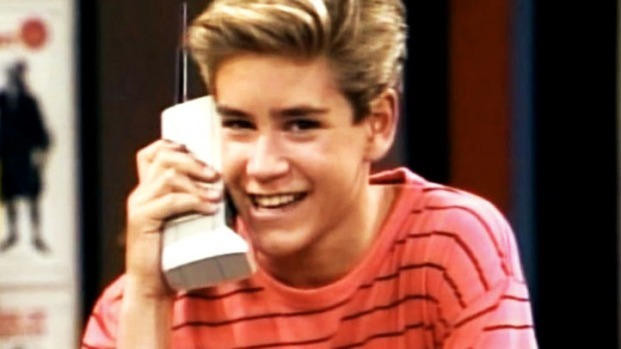 Latest incarnations of the must-have phone hit stores today. Mark Barger reports. One iPhone fan had been waiting since Monday. "I just come out here. I love being part of this crowd. I love waiting in line," said Fitzgerald Geonzon. "It gets boring sometimes, but 10 minutes before the launch, you get a feeling of sensation." In Miami Beach, shoppers began lining up Thursday morning in anticipation of the release. Lloyd Pearson, who was the first person in line at the Apple store on Lincoln Road, said he showed up around 4 a.m. Thursday. "It's gonna be a very, very restricted supply, we expect it to be worse than last year," he said. At the Bethesda, Md., store, the entire block lost power one minute to the doors opening Friday, with a full line of people outside. The crowd handled it well, and the power came back on about five minutes later. Store employees still had to wait a few more minutes for their servers to reboot before they began fulfilling orders. The iPhone 5c comes in a host of colors -- blue, green, pink, yellow and white -- and will be available for a retail price of $99 for the 16 GB model and $199 for the 32 GB model. The supplies of iPhone 5s in muted gold are expected to dry up quickly. Many customers waiting in line at the Apple store in Boston had their minds set on that particular model but, the store quickly ran out, NECN reported. “I was excited and nervous,” said one customer who was one of the few who was able to score the 64gb gold iPhone 5s.